We all like to read about genealogy “happy dance” moments! From my dear friend Rosanne Leeson (Los Altos, California), comes this delightful email. She wants everyone to be as happy as she is now after watching the Matthew Broderick episode of “Who Do You Think You Are?” and following a clue on the show to the solution to a Civil War family mystery. Her family arrived very early in the USA (pre-Civil War) and she is an experienced and seasoned researcher of her Jewish family. Wow! I am sitting here with tears in my eyes! I have just had my first benefit from watching the “Who Do You Think You Are?” show! Saw the last one with Matthew Broderick, when he finds his great-great’s grave in the Marietta GA National Cemetery. I never even knew that such a cemetery existed, or that they had moved Union dead there from Atlanta. I had been hoping for ages to find out what ever happened to my great-grandmother’s youngest brother, who she had brought over to the US from Bavaria in the early 1860’s. I had gotten his record from NARA, knew when and where he had died (in a hospital in Atlanta of miliary fever). Had asked someone in Atlanta to try to find out what had happened to his body. The only answer I got was that they had probably thrown his remains into a common or pauper’s grave. NICE! 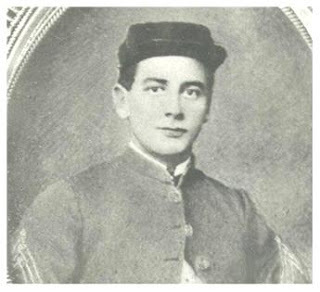 He had only been in the US a short time, spoke very little English, but signed up to fight for the Union cause in NY, where my great-grandparents were living. He was 20 years old when he died. I always felt so sad that there was no closure for any of the family descendants. Then I learned about the Marietta National Cemetery. Got online and found not only history of it, but a list of those buried there. BINGO! Great-Grand-uncle found! I just called the cemetery and the gentleman was wonderful. They are sending out someone to see if he had a stone and, if so, to photograph it for me, and send in a week. He said that he thought there might be a stone or his name would not have been on the list. If not, I will order one. No fee for a picture! Their duty and pleasure to add closure after nearly 150 years! Rosanne, a semi-retired librarian, is a consummate genealogist, specializing in Romania (RomSIG) and Alsace (has translated many records and visited over the years). She’s also vice president of the San Francisco Bay Area Jewish Genealogical Society. What this points up is that even very experienced researchers can learn something every day! We never know when a ray of sunshine will illuminate that lost record that has eluded us for decades. We never know when a resource may provide a missing link. I’m sure all Tracing the Tribe readers join me in congratulating Rosanne on her achievement, and congratulating WDYTYA on providing the clue. Our well-known colleague Megan Smolenyak Smolenyak noted this post in her most recent Huffington Post article. Thanks, Megan. On behalf of the Judah L. Magnes Museum, director and chief curator Alla Efimova informed the Magnes community of the death of Seymour Fromer, 87. Fromer died in his home in Berkeley, California, on October 25 after a long illness. The internationally known Jewish educator and founder of the Judah L. Magnes Museum was 87. Born and raised in the Bronx, New York, Fromer graduated from Stuyvesant High School, earned a B.A. from Brooklyn College, and did graduate work at Teachers College Columbia University. He worked in the Jewish communities of Essex County , New Jersey and Los Angeles where, in 1955, in the Hollywood Bowl he presented the opera David, composed by Darius Milhaud who conducted the orchestra. In Los Angeles, Fromer met and married his wife of more than fifty years, the poet and author Rebecca Camhi. In the late 1950s, Fromer came to Oakland, California, and established the Jewish Education Council (the forerunner of today’s Center for Jewish Life and Learning), remaining in that post for a quarter century. In 1962, the Fromers founded the Magnes Museum, first in modest quarters over the Parkway movie theater in Oakland and a few years later in the turn-of-the-century Burke mansion at 2911 Russell Street in Berkeley, its headquarters to this day. Before Fromer’s retirement in 1998, the Magnes grew to become the third largest Jewish museum in North America. It has specialized in ceremonial art and posters and paintings of Jewish interest. Fromer expanded the collection by rescuing artifacts from endangered Jewish communities such as Czechoslovakia, Morocco, Egypt, and India. In 1967, he established the Western Jewish History Center at the Magnes, the first regional Jewish history center in the U.S. and the most comprehensive. He also created the Commission for the Preservation of Pioneer Jewish Cemeteries and Landmarks, which restored and to this day maintains seven Jewish Gold Rush cemeteries in the California Mother Lode. 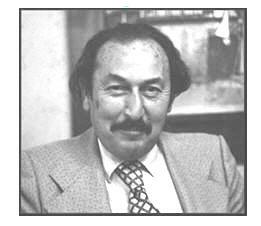 Especially in the 1970s and 80s, Fromer nurtured many young Jewish scholars and artists and was a key catalyst in the Jewish cultural renaissance in the Bay Area. He provided the impetus for such organizations as Lehrhaus Judaica, the Jewish Film Festival, and the National Yiddish Book Center. A memorial service open to the public will be held Tuesday, October 27, at 1PM at Congregation Beth El, 1301 Oxford Street, Berkeley. For more information on the Museum, click here. 8.15am, Monday, August 3: “Preserving Memory and History – The Volunteers who Take Care of Jewish Cemeteries in Poland.” She will speak about Poles like herself who work to preserve the rich history and culture of Polish Jews. 11.15am, Tuesday, August 4: “Strategies for the Integration of Genealogical Datasets.” She will explain the research project to “virtually reconstitute” a Jewish community before it vanished in the Holocaust. Utilizing details about individuals listed in different databases relevant to a single town, her team develops algorithms/software to merge separate databases and progressively reconstruct family trees. Klauzinska is a leader of the “Photographic Project in the Jewish Cemetery of Zdunska Wola.” She received the 2005 Prize of the Ambassador of Israel in Poland for maintaining the Jewish cemetery, as well as a 2008 Gold Cross of Merit from the President of Poland for preservation of Jewish heritage in Poland. She is the Lodz province administrator for Warsaw’s Museum of the History of Polish Jews. Her PhD thesis has a Jewish genealogy focus and her conference appearance is part of her research. See Klauzinka’s work at the website of The Museum of the History of Polish Jews has a Virtual Shtetl Project, click here. Also see the Zdunska Wola virtual shtetl here. Look up your own Polish ancestral shtetl by clicking on “Towns” and using the alphabetical index. Tracing the Tribe will see you at Philly 2009! The Jewish Genealogical Society of Colorado will hold its annual meeting, election of officers and a brunch on Sunday, June 14. Members will share their success stories. The JGSCO event starts at 1pm at Denver’s Congregation Emanuel. More details are at the website. SAVE THE DATE: Mark your calendars now for Sunday, September 13, when Arthur Kurzweil, author of “From Generation to Generation: How to Trace Your Jewish Genealogy and Family History,” will lead a free workshop from 2-4pm and lecture at 7pm, at the Denver JCC. This is part of the 150th anniversary of Jewish Denver. The 2009 Society for Crypto-Judaic Studies (SCJS) will be held in Denver from August 2-4. There is also a resource list for those researching Crypto-Jewish and Converso ancestry. – Search the online patient surname index of the Jewish Consumptives Relief Society 1905-1930. – Search the Cemetery Indexing Project for all Colorado Jewish cemeteries. Check the site for more resources.